Betclic is one of the major French online bookmakers, which quickly gained popularity and appeared among the best in the gambling industry. Found in 2005, the sports betting company was created in London by Nicolas Beraud with the help of just one employee and investment of €3 million. For just five years, Betclic becomes a significant part of the online betting branch and in 2008 Mangas Gaming bought 75% of the company for €50 million. Just one year later, SBM manages to get 50% stake in Betclic. 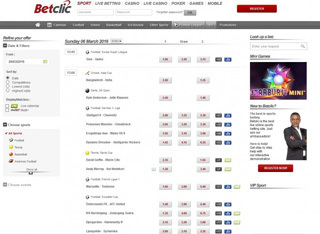 The growth of this online bookie is rapid and in 2010 Betclic owns nearly 40% of the online betting market in France. The leader is undisputed, and there are few competitors to challenge its title. Only Bwin (with 20% market share) and PMU (with 25%) manage to keep up with the favourite French bookmaker. Apart from France, Betclic also provides services for many other European countries. USA players are excluded from the list of permitted nationalities, as well as some other countries in Europe and Asia. Euro 2012 was probably the most profitable event for Betclic when the company hit a record in revenue. During the championship, the bookie made an income of more than €12 million. There are many other deeds performed by Betclic, such as the extensive sponsorship of Olympique Marseille and Juventus in the season 2010 – 2011. Also in 2009, the same company sponsors Lyon and buys shirts for the team. Betclic offers up to 23 different sports for betting with the most popular ones available. There is also great coverage on some leagues, up to 120. Their sportsbook is well developed, but other markets are not presented at this time. However, dedicated online betting fans will not be disappointed. Betclic offers a lot of online services in addition to their offerings. The bookie supports live streaming for most of the popular sports. Live betting is also available for tennis, motor racing and football. Users on mobile will be happy to learn that Betclic’s platform supports various devices, such as desktops, tablets or smartphones. The company also provides a detailed betting history for their registered users, which can be reviewed at any time. Apart from sports betting, the online gambling giant offers 15 casino games (both life and standard), poker and other small games. There are also table games, video poker and many others. 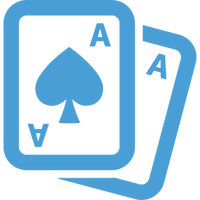 The bookie makes fantastic poker tournaments with great jackpots where anyone can win. There is also video poker option. It is time to take a look at the odds offered by this online bookmaker. Most of them are quite attractive for almost any recreational player and in an even match are 1.90 – 1.90. The overall betting margin for Betclic is calculated to 6.3%, and the average payout is also quite lucrative – about 90%. Experienced gamblers will be happy to learn that there is no maximum for any betting amount in any sport. The minimum is also set to the lowest possible – €0.5 per wager. However, there are strict limits on winnings, which compensate that. A single bet on every sport cannot win more than €20 000 and the winnings cannot exceed €50 000 per week. But let’s how the football betting performs and which are the benefits of the most popular game around the globe. First of all, we must say that there is a huge amount of options available for any football betting enthusiast. For example, players are free to wager on the standard 1X2, Correct Score, Half-Time/Full-Time, Both/First/Last Teams to Score, Under/Over, Kick-Offs, Corners and other. There are also great opportunities for complicated betting, which involves various system bets and combinations. Betclic heavily relies on good security and perfect protection of the sensitive data for every single account. Their SSL encryption is provided and certified by Thawte, which ensures a peace of mind for players. All the traffic between the user and the web platform is successfully encrypted and well secured. 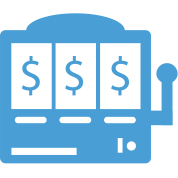 The online bookie is also part of ESSA, a non-profit online gambling regulator, which monitors for any issues and looks out for fair gaming and honesty. We should mention the customer care service provided by Betclic, which is rated average by most users. The telephone line is not offered by the French betting company. However, clients can easily contact the bookmaker via email or live chat. Fortunately, Betclic supports various European languages and responds to emails and chats relatively fast. Deposits and withdrawals are made with a limited amount of currencies which can be found on a table. However, customers can enjoy a nice selection of payment methods, all of which can be seen on the table. The process is quite simple and excludes any complication, which may arise with other bookmakers. Most of the deposit and withdrawal options are instant, except for the bank transfer that takes about three business days to complete. Betclic allows every customer to review every transaction carefully by browsing the history of its account. This online bookmaker offers just one simple sport bonus for clients, who decide to use its online betting platform on their mobile devices. 100% bonus on 30EUR. 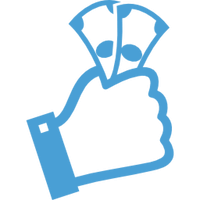 The good news is that only one wager of odds 1.50 on the mobile application is required to unlock the bonus. On the other hand, Betclic offers a huge Casino and Poker first deposit Promotion. There is 100% promotion on up to 1000EUR for Casino and Poker.